• Sleek and shiny never fails. A narrow, sleek and shiny curtain rod is ideal for modern rooms that are airy and open, but can also look great in industrial-chic spaces. • Black matches everything. Black iron curtain rods will go with almost everything and can add an interesting bit of contrast to otherwise neutral or light-colored rooms. A thin rod will keep this look from overpowering the rest of your décor. • Vintage-inspired hardware – If your home’s interior is more antique than geometric and modern, vintage-inspired hardware is a great stylish option. Etsy is a valuable resource for finding unique hardware that will give any room some flare. • Repurpose door or cabinet knobs. 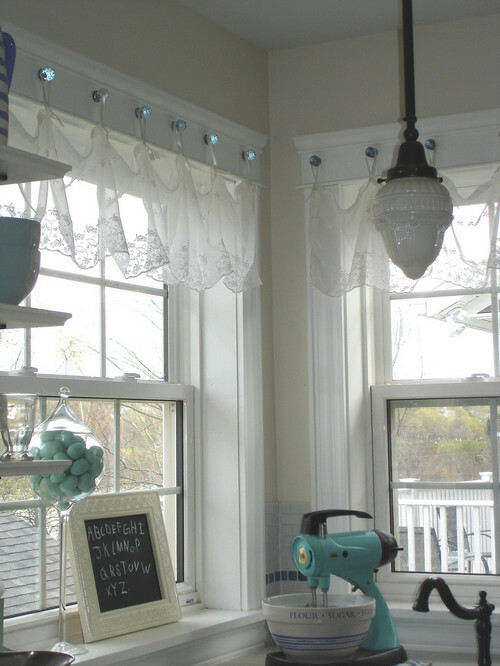 This is a trend that’s become more prevalent recently, and one look we really love is sheer curtains hanging from crystal knobs. If you don’t have any lying around to use, you can find pretty cabinet or door knobs at any local hardware or furniture store. Just make sure the knobs are spaced evenly above your window when you are setting up.